If you visit Warren’s regularly, it’s time to get with the program!! Read below for details and BIG savings! As a “Frequent Diner” all you need to do is present your Frequent Diner Card to your server each time you dine with us. We will keep track of your food and drink expenditures and each time your total reaches $100.00, we will give you a Complimentary Gift Certificate for $10.00. That’s like saving 10 percent! Please remember…Complimentary gift certificates, coupons, tax and tip do not count toward your total and you need to be the person paying the bill to get credit for it. You have the privilege of making reservations any day of the year as long as you give us at least one hour notice. This includes the summer season and all holidays. If you call for a reservation and the person answering says we do not take reservations, simply tell them you are a Frequent Diner (and provide your Frequent Diner Number) and they will take your reservation. Occasionally, there may be a short wait when you arrive. (Note: We can only take so many reservations at a time. If your requested time is not available, we will offer you the next available time…so call early!). 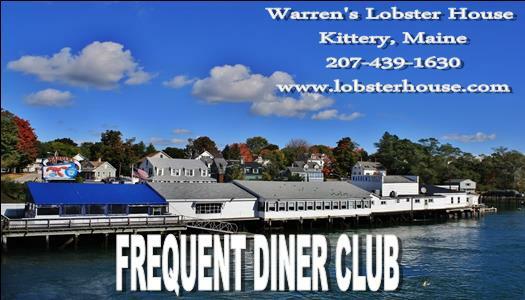 You will receive the complete version of our quarterly newsletter “Lobster Tails” (The newsletter with tales of Warren’s!). It’s filled with insider information, upcoming events, special discount coupons, and offers available only to Frequent Diners. During your birthday month, Warren’s will treat you to a free lunch or dinner! Just present your Frequent Diner Card with a driver’s license or other picture ID that shows your birth date. We’ll deduct your lunch or dinner entree from the check This offer is only valid during your birthday month and is only available for Frequent Diners and their spouses. This offer cannot be used with other coupons or promotions and has a maximum value $15.00. This offer has no cash value. For the first $100.00 you spend the first year, we’ll give you a $20.00 Complimentary Gift Certificate. Then we’ll give you a $10.00 Certificate for each $100.00 you spend after that. That’s like getting the first year free! Annual fees are non-refundable. Accounts that go 12 months or more without spending $100.00 will be billed the $10.00 annual fee before the benefits will be reinstated. Even at $10.00 a year, this is a tremendous value! The birthday benefit alone is worth up to $15.00! Then there are the reservation privileges, the newsletter every quarter that features money-saving coupons, and lots more just for Frequent Diners. *You will only be charged $10 to join The Frequent Diner Club once unless 12 months go by and you don’t spend at least $100.00. You will be billed the $10.00 fee before your benefits and membership are reinstated. 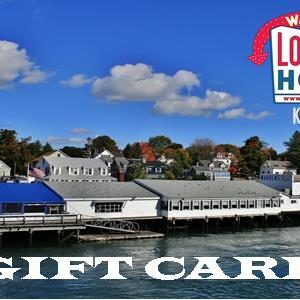 Once you’ve spent $100 on Food and Beverages during the first year of your membership we’ll give you a $20.00 Complimentary Gift Certificate. Then we’ll give you a $10.00 Certificate for each $100.00 you spend after that. That’s like getting the first year free! The annual fee is non-refundable. Accounts that go 12 months or more without spending $100.00 will be billed the $10.00 fee before the benefits will be reinstated. out a receipt for you.